In February 2018, River Pools had the opportunity to build a fiberglass pool for former Vice President Joe Biden. This was in Delaware, though—outside the River Pools installation area. A problem? Not at all. Enter one of our nationwide dealers, Clean Cut Pavers and Pools. River Pools manufactured the G36 fiberglass pool shell and transported it to the dealer, who installed it in the Bidens' backyard. Some of the River Pools family went out that week to watch the installation and to highlight this dealer, their employees, and their good work. (Others of us—that is, me, myself, and I—were left at the office. I was kind of sad.) The visit was a great experience, and the installation went well! We're growing as a manufacturer, so we're talking to dealers all across the country. This is a new partnership we're excited about and they are as well. During the pool installation process, we spoke with Doug Arcos and Rich Bell from Clean Cut Pavers and Pools to get their perspective as fiberglass pool dealers: What do dealers look for in a pool manufacturer? What do dealers look for in a pool product? What do dealers want in leads from the manufacturer? What are some current trends in backyard pools? How do dealers handle pools in smaller lots? Are you in the market for a freeform fiberglass pool and looking for the perfect model for your family? We’re here for you! Are you in the market for a freeform fiberglass pool and looking for the perfect model for your family? You aren't alone. As manufacturers and installers of inground fiberglass swimming pools, we at River Pools have a unique determination to help homeowners (like you!) to find your perfect pool—whether that means choosing us or not. If you’re in the market for an inground fiberglass pool, you’re probably looking for a single resource that lists the most prominent fiberglass pool manufacturers in America. As a manufacturer of inground fiberglass pools, we are often asked our opinion of other manufacturers. Because we believe strongly in answering the questions we are asked, we put together the following list of 10 of the most prominent fiberglass pool manufacturers in America in alphabetical order. The fact that you’ve found this article means you are probably well into the process of finding the right pool for your family. Maybe you have already decided that a fiberglass pool is the way to go, and possibly that a rectangular shape is best for you….now it’s just a matter of finding the pool design that meets your needs the best. 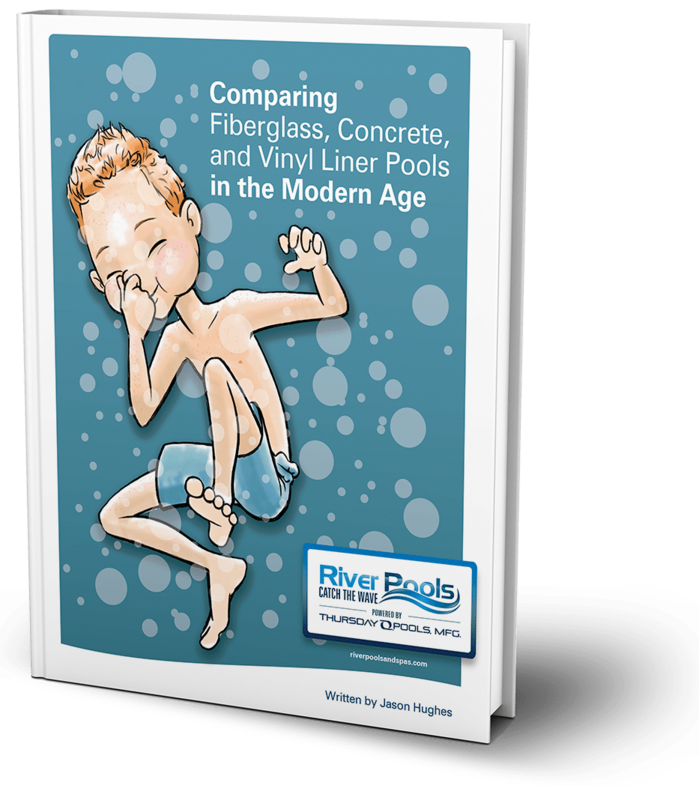 If this is the case, you’re in luck because today we’re going to compare two of the most popular rectangular fiberglass pools on the market: The Casini by Trilogy Pools and The G36 by our company, River Pools.